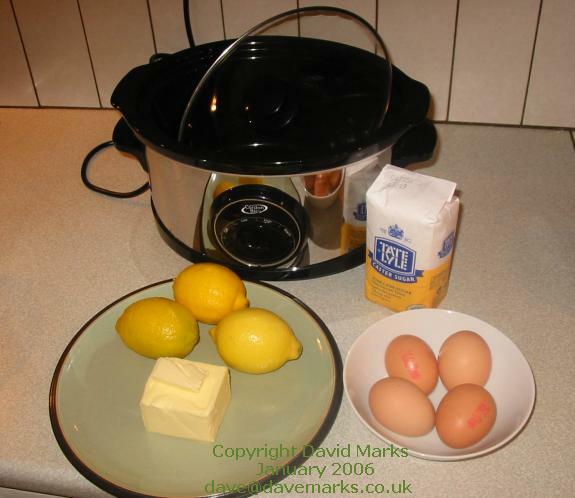 Dice butter, grate the lemon rind and squeeze the juice. 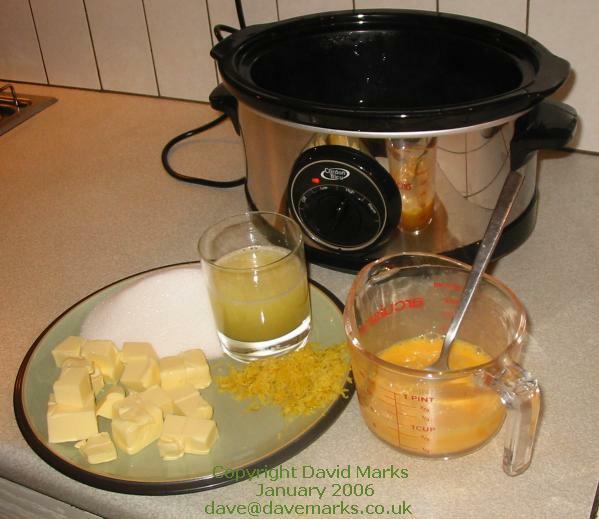 Firstly, pour about 2 inches/5 cm of very hot water into the ceramic part of your slow cooker and turn it onto high heat. 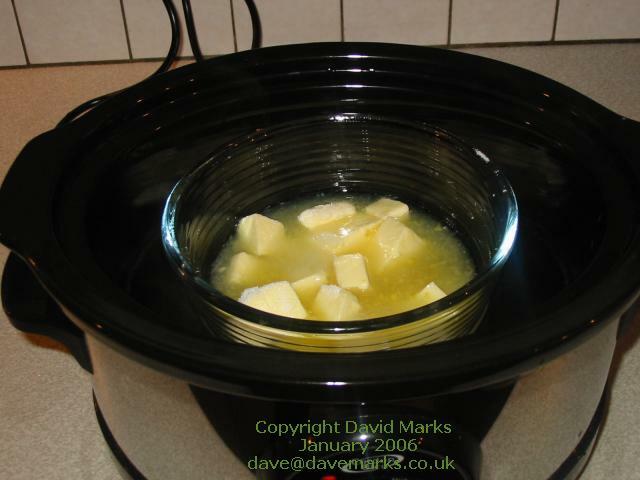 Put the lemon juice, lemon rind, sugar and butter into the largest heatproof bowl which will fit inside your cooker. Put the bowl into the slow cooker and pour enough near-boiling water to come halfway up the sides. 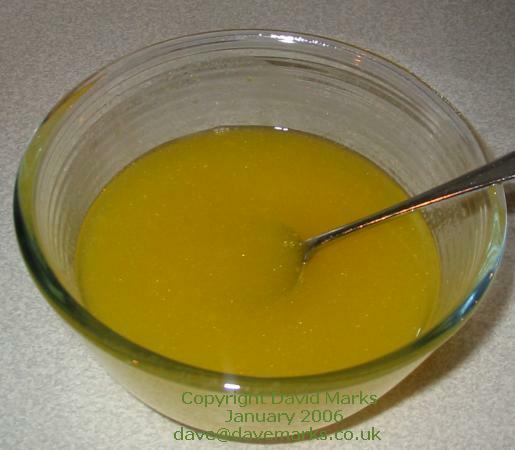 Leave the mixture in the cooker for about 15 minutes stirring occasionally until the sugar has dissolved and the butter has melted. Take the bowl out of the cooker and leave to cool for a few minutes, then turn the cooker to a low heat. 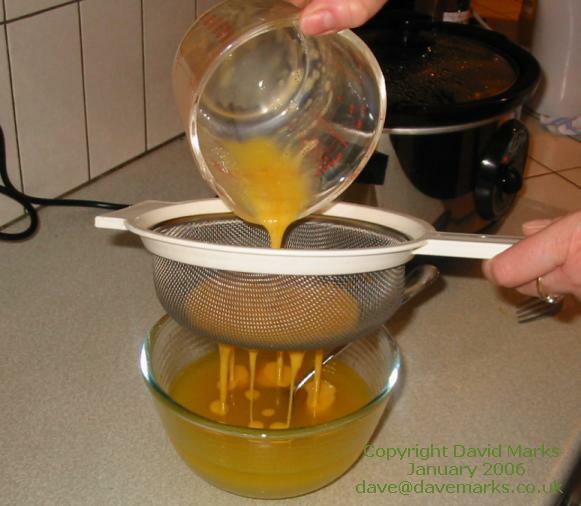 Beat the eggs and egg yolks together and then strain them into the lemon curd mixture and whisk well until it is combined. Cover the bowl with foil and put it back into the cooker. 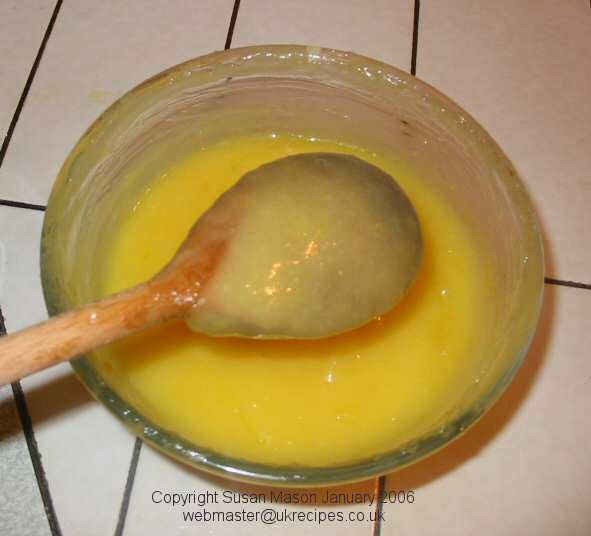 Cook the lemon curd on a low heat for 1 hour or until it is thick enough to cover the back of the wooden spoon as in the picture, stirring every 15 minutes. 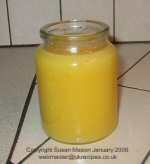 Pour the lemon curd into a small warmed sterilized jar, cover and seal. You can store this in a cool place or ideally in the fridge and it will keep for 3 months. 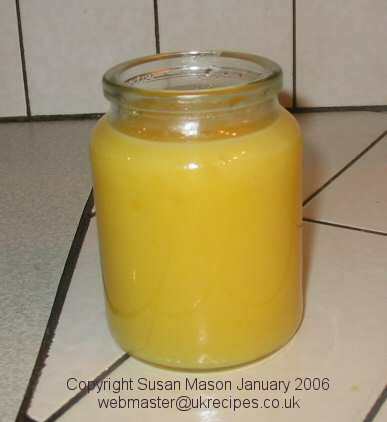 Once the jar is opened then it must be kept in the fridge.